Modern design glass log racks available in various standard sizes or contact us for a bespoke variation. 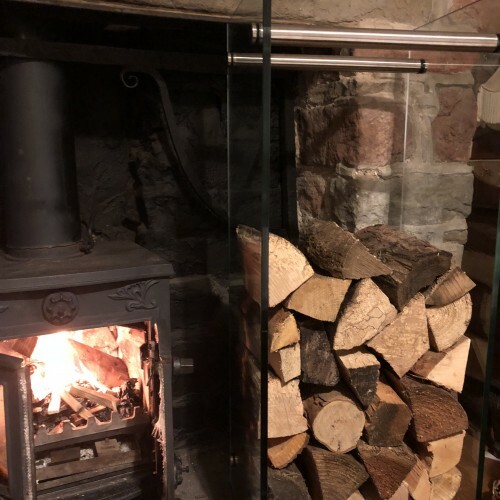 Each glass log rack comes complete with 10mm clear toughened safety glass and 4no. chunky 30mm stainless steel cross-rails. 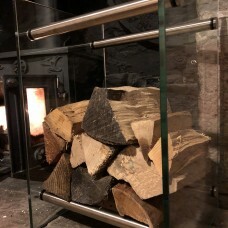 These racks are all hand made in the UK to order and will take 2-3 weeks to complete.